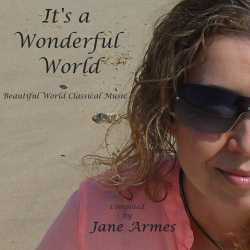 'On Butterfly Wings' is from the album 'It's a Wonderful World', a very well received album with 16 wonderful pieces of music. Composed to help you to relax, unwind and heal your Mind, Body and Soul, this beautiful piece of music will assist you to relax on a very deep level. So whether you imagine you are drifting through fields of gold or just floating as free as a butterfly 'On Butterfly Wings' will assist you to relax into your own tranquil space. Please feel free to share this video with all of your friends on face book or any other social media network of your choice. This beautiful piece of music is just perfect for Relaxation, Meditation or just great to Chill Out to.